Monrovia – FrontPageAfrica has obtained documents showing that Octavius B. Doe, who was controversially appointed as judge of the monthly and probate court of Sinoe County, was a student at law when he was nominated. Doe was preferred by President George Weah on July 9, 2018 as a Special Court Judge and was subsequently confirmed by the Liberian Senate on August 21, 2018. 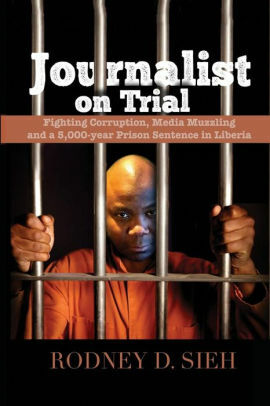 His status as a student was ignored by the Liberian Senate’s Judiciary Committee, an action considered by many as a breach of both the Judiciary law and legal ethics. Some personnel and Court Administrators say Doe was hired as a judge based on his appointed by President Weah. Section 3.7 of the Judiciary Law states that “no person shall be appointed or hold office as a judge of a Circuit Court who is not an attorney licensed to practice and who has not engaged in the active practice of law for at least five years next preceding his appointment, and except for the persons appointed as relieving judges, who is not a resident of the county in which the Circuit Court to which he is appointed is located’. The “Active practice of law”, according to the Judiciary Law is not limited to the direct practice of law, but includes judicial service, governmental service and the teaching of law. But Doe’s credentials, which have been obtained by FPA, show that he was admitted to the Louis Arthur Grimes School of Law in 2010 and is currently a senior student expected to graduate later this year. A letter dated July 28, 2010, which is attached to his credential presented to the Senate Committee includes his Letter of Admission signed by the the former and late Dean of the Louis Arthur Grimes School of Law school, David A.B Jallah. The documents also reveal that he graduated from the African Methodist Episcopal Zion University where he obtained a Bachelor of Arts in Criminal Justice Administration. He obtained his secondaty education at the Charles Memorial High school in Greenville, Sinoe County in 1989. Doe’s employment record shows that he served as Administrative assistant to LIMINCO, where he supervised daily operations of the Vice President for the office. From 2008-2014, he served as a legislative research analyst to current Public Works Minister Mobutu Nyepan, who had served as Senator of Sinoe County. 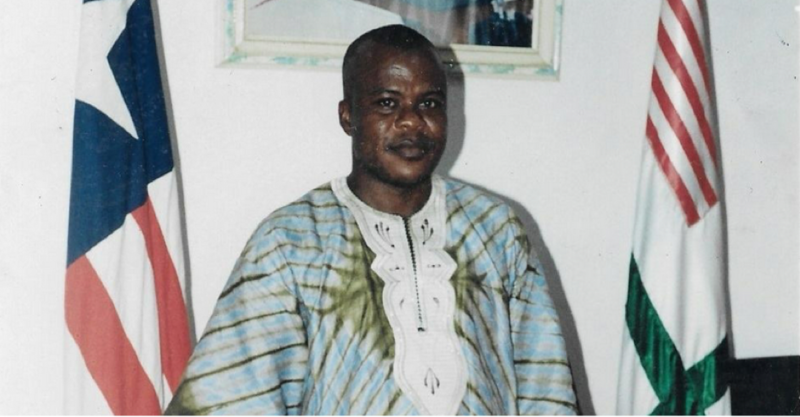 Doe previously assisted as Assistant Magistrate in Gbalakpo City Magisterial Court, the year he was acquiring his undergraduate and earlier between 1992-1994, he worked as clerk of the magisterial court in Jarpuken, Sinoe County. In 2009, while serving as Clerk, he collected statistics on prosecution and criminal cases for the Nimba County Attorney. In 2003, Doe was appointed as Associate Magistrate for a court in Sinoe County by the National Transitional Government of Liberia (NTGL) headed by Gyude Bryant. Although he had served as an associate judge of a lower court, his recent appointment by President Weah has sparked concerns amongst members of the legal community. Former Chief Justice Gloria Musu Scott recently described the appointment as an “embarrassment to the country because the law was not respected by the President”. Cllr. Scott says judges of the Circuit and Specialized Courts should be properly vetted before nomination and subsequently confirmed and appointed. Constitutional lawyer Pearl Brown Bull says the President’s action was a violation of the new Judiciary law and the Senate Judiciary Committee should be blamed for poorly vetting Mr.Doe. It can be recalled that the Senate Judiciary committee confirmed Juah Cassell’s for the post of Deputy Minister of Justice for Administration, a decision which was contested by numerous legal luminaries. Juah, a graduate of International Law from Wuhan University, holds a Bachelor of Arts in Sociology accompanied by certificates from the Liberia Institute of Public Administration in Procurement and Human Resource Management. She has no credential as a lawyer though she assumes the Deputy Attorney General position. Meanwhile, a source at the Louis Arthur Grimes School of Law has hinted FPA that the school’s administration is expected to expel Mr. Doe because he should not have accepted the appointment, knowing that he is still a student. Something, the source asserts, that is considered a transgression of legal ethics, which the school upholds.